“I’ve never been a part of a company that operates likes Enterprise. At Enterprise I’ve learned the importance of building great customer relationships. Because we are always going above and beyond for every customer we have a lot of regular renters who I love to help. In return these great relationships have helped us grow our store’s fleet of cars and I’m extremely proud to be a part of our growth!!! My internship so far has been phenomenal, my Area Manager and team are so supportive –they tell me all of the time how much they appreciate my hard work and wish I didn’t have to go back to school! 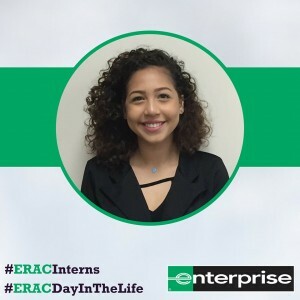 This is not just an internship for me, I’ve become part of the Enterprise family.”–Tiffany C.